Save Our Leatherbacks Operation (S.O.L.O.) had its beginnings in the spring of 2002 (details are chronicled in the book Almost Gone). It was then our Founder, Dr. Larry McKenna went in search of film file footage and photos of some large turtle which he was informed, was heading for a rapid extinction; theLeatherback sea turtle. After 3 frustrating; but ‘character building’ attempts to get to the remote nesting location in Indonesia, he succeeded in July and August. The situation he observed with both these truly giant and amazing turtles and the lack of any consistent or effective activity to help the Leatherback sea turtle survive either at the nesting beaches or at sea was a strong motivation to become involved. Larry approached many of his long time associates who are key members of the SCUBA diving industry in October, 2002 during the DEMA Exhibition in Las Vegas. He was promised some assistance and support but ONLY if the effort was certified with IRS as a nonprofit 501(c)(3) activity. He researched the certification process and filed the application; which was approved by IRS in record speed. Larry McKenna loves recording life, cultures, history, and events so that others may see the World through his eyes, voice, pen, and cameras. Larry is a former United States Air Force aviator with a chest full of combat decorations. 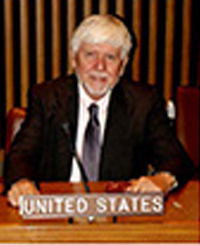 He served for 26 years in uniform while flying and designing new planes and helicopters before going onward to enter the commercial sectors of business, as an International banker and real estate developer and hotel/resorts operator, in the USA, in Central America and the Pacific region of islands. He is now a dedicated environmentalist to save the Leatherback sea turtle from its rapid spiral into extinction. In 1984, he founded his own production studio to make his promotional films. Larry’s base of operations is Kingwood, Texas (close to Houston); but he is rarely there because of his work and can usually be found in the Pacific/Asia region. 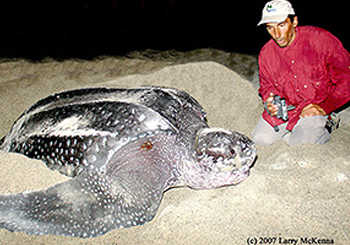 He is currently involved with conservation efforts to save the Pacific Leatherback sea turtles from a rapid extinction. Past Activities: 26 Years in US Air Force. Retired at grade of Colonel. Real Estate Developer in California; buying/building/selling industrial/commercial and residential properties. Current Avocation(s): Video Productions, Photographer and Author. Latest book… ”ALMOST GONE” — a detailed account of the tragic decline of the Pacific Leatherback sea turtle. 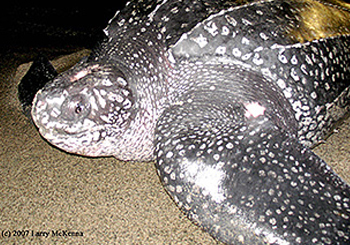 Long Term Plans: Dedicated to reversing the extinction spiral of the Pacific Leatherback sea turtles over the next 3 years, according to our plan filed with U.S. Govt for the IRS 501(c)(3) nonprofit, tax exempt, public charity Foundation, in October, 2005. This Foundation is composed of all volunteers in USA who are not paid wages or benefits. 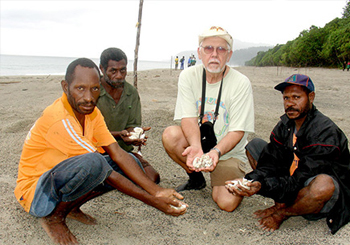 The work at the Leatherback nesting beaches is accomplished by a subordinate Indonesian NGO which employs local Papuan villagers and in this manner avoids language and culture conflicts. Long Term Plans + 1 day: Locate the optimum sandy beach on a quiet lagoon near the equator. Sit and “Think About” writing another book. Then get pro-active once more. Below are listed the S.O.L.O. advisors to this public and ALL volunteer foundation. These individuals who have bonded as a team to help save the leatherback are highly motivated to help achieve our stated Goals and Objectives. THANK YOU, THANK EACH OF YOU! (c) 2009-2016. All photos and videos shown herein are, unless individually credited, are the property of Larry McKenna. NO copies permitted without written approvals. Watch the donations reduce the number. Is yours sent yet??? © 2016 S.O.L.O. . All rights reserved | Design & developed by Capri Infosoft (India) Pvt. Ltd.